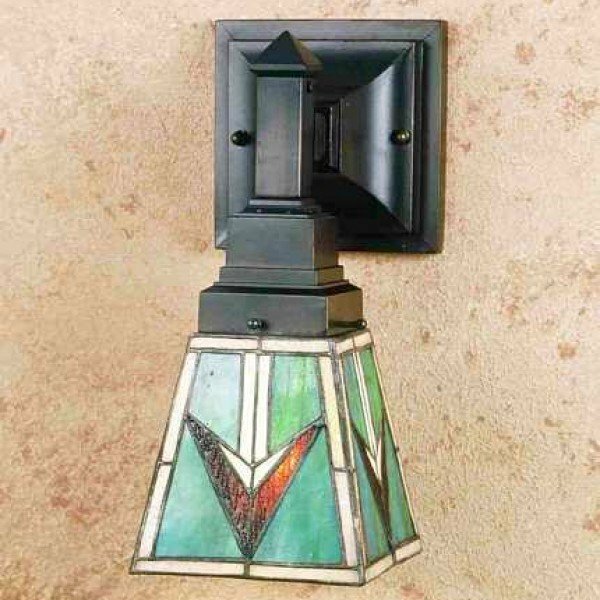 Patterns And Colors Of Native American Blankets And Pottery Have Given Inspiration To This Meyda Tiffany Designed Mission Style Stained Glass Shade. 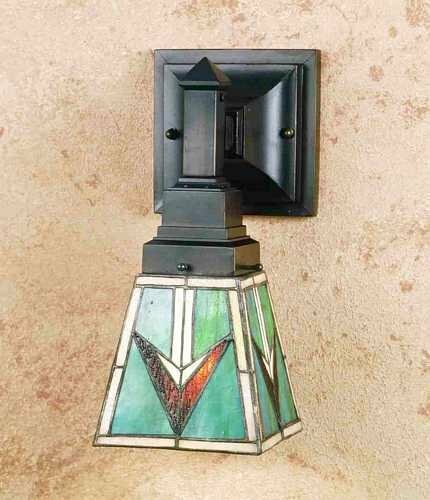 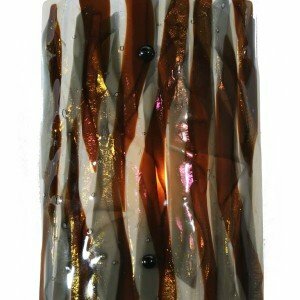 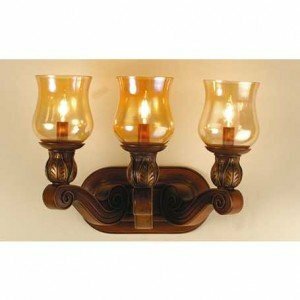 The Intricately Patterned Shade Of Bark Brown Granite Glass With Sand Beige And Turquoise Is Combined With Clean Lined Mission Wall Sconce Hardware That Has An Earth Toned Mahogany Bronze Hand Applied Finish. 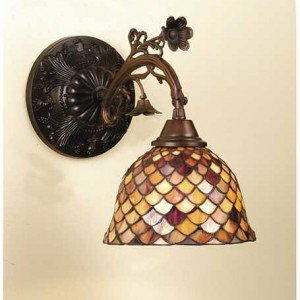 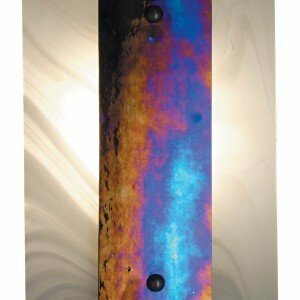 This Sconce is handcrafted using LC Tiffany’s time-honored copperfoil construction technique.